https://www.accelevents.com/e/dhsfrcrobotics. Your first bid must be placed through the online site. From there you can choose to receive emails or texts about your bid status. You can text 475-889-7806 for all re-bidding or continue to use the website. The auction site will open tomorrow! We hope to see you all there! We will be having a fundraiser at the Dunwoody Tavern on November 30 from 6PM to 10PM. 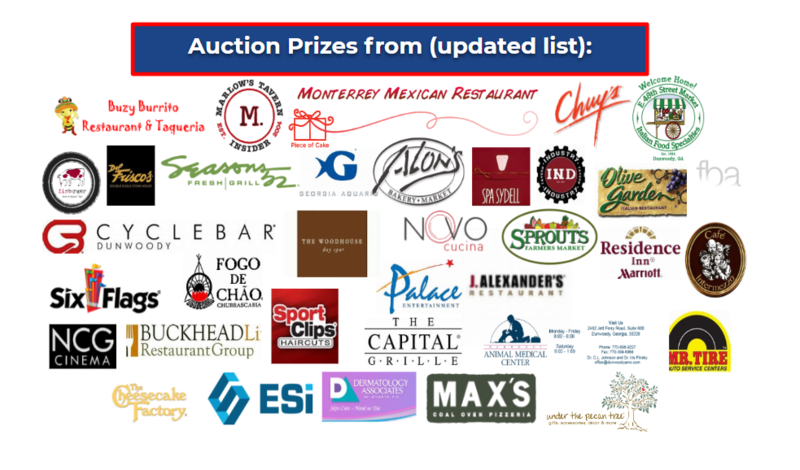 There will be exciting raffles, a silent auction, live music, and great food! Please come out and support WildCat5e! A new school year getting started means a new robotics season, and we're getting to work quickly to make as much of this year as we can. We've already received plenty of new applications, and we expect to have more members than ever dedicated to growing the business side of our team: fundraising, marketing, outreach, and more. Continue our success in competition, win some awards, and advance to the state and world championships! We're looking forward to an amazing season, so keep checking back for updates about our progress as team meetings begin. 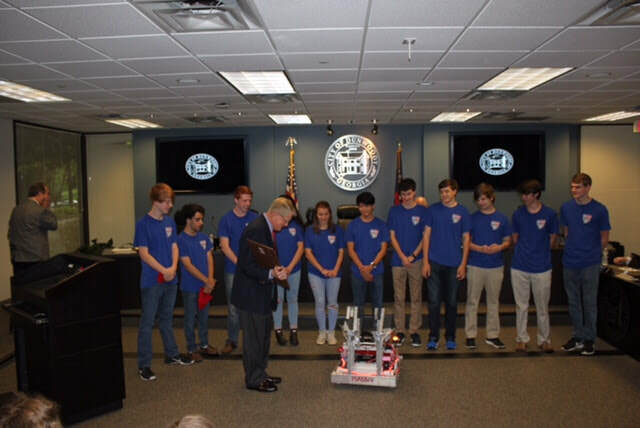 Our first full-team meeting is next Wednesday, August 29th, and we can't wait to meet the team and get started on an awesome FRC robotics season! Pig-N-Chik in Chamblee has graciously offered to donate a percentage of sales over three days to our team! From Monday, January 29 to Wednesday, January 31, anyone who mentions WildCat 5e will support the team financially, just by eating some good BBQ! The money will be used to by much-needed parts as we build our new robot for the competition season. We'll have last year's robot there and tell you all about our amazing season. 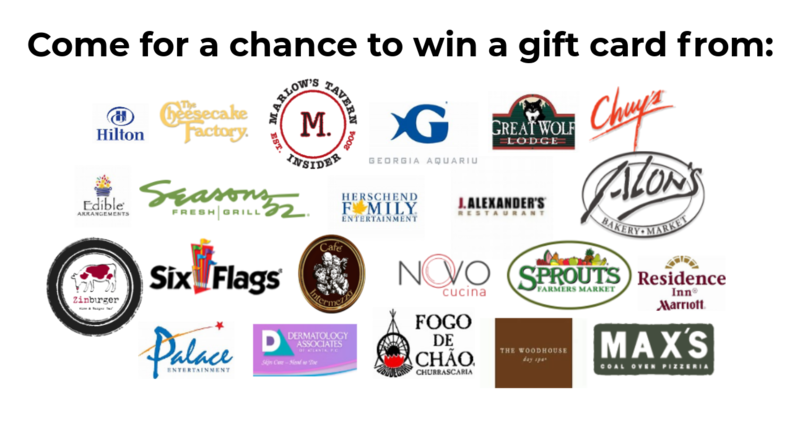 Please mention Dunwoody WildCat5e for us to benefit from your purchase. As our awesome rookie season comes to a close, we wanted to document some of of the lessons we learned. Writing them down will help us remember. And maybe they will help another team along the way. 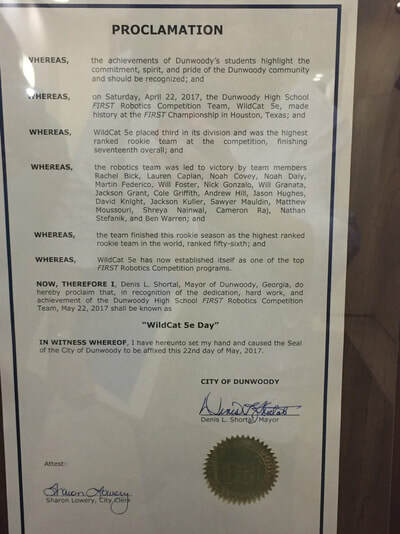 Our team was invited to do a brief presentation to the Dunwoody City Council on May 22, 2017. The team was able to meet the City Council, including Mayor Denis Shortal. 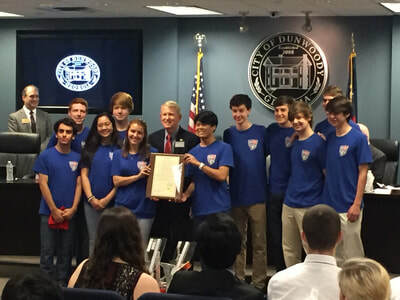 The presentation was a great chance for us to explain our accomplishments and to be recognized for our hard work. Thank you to the City of Dunwoody for your support!